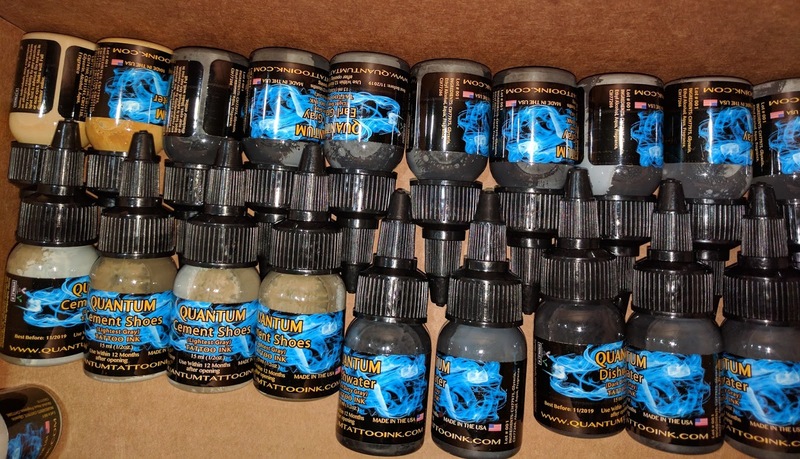 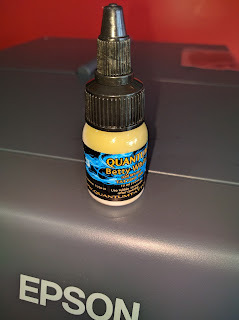 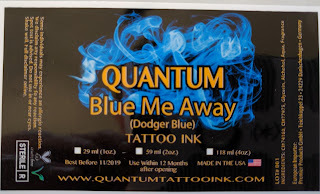 Quantum Tattoo Ink (http://quantumtattooink.com/) and (https://www.facebook.com/quantumtattooink/) offers the best tattoo inks and tattoo pigments in the world. Located in Los Angeles, Quantum’s customers create works of art with the wide variety of colored pigments they offer. 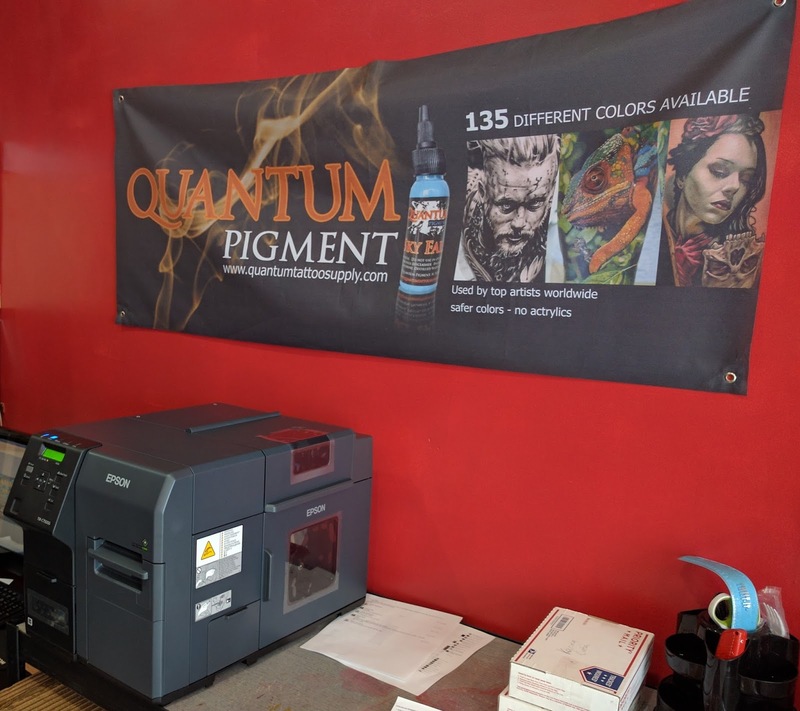 To label their hundreds of different pigments, Quantum was purchasing preprinted labels on sheets. 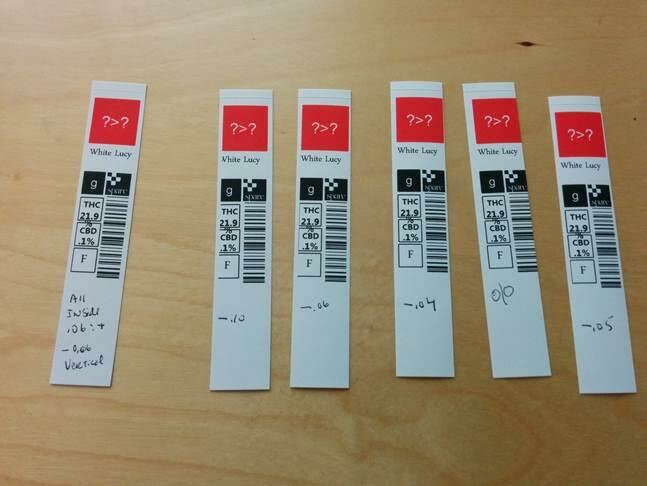 On the preprinted labels, they had to check-mark by hand the size of container and lot number for each bottle. 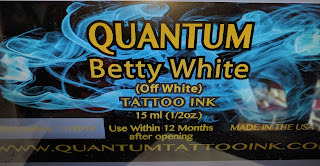 “Writing by hand on the bottle was a difficult step” according to Philip Jay of Quantum Tattoo. 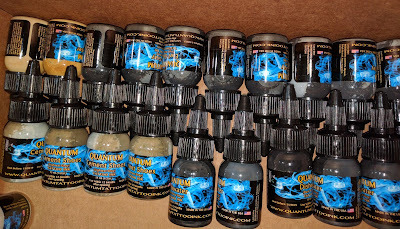 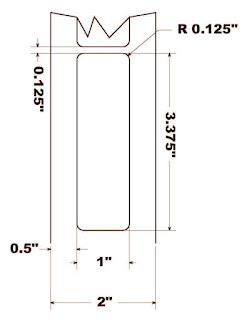 Given their large number of SKU’s, this process was time consuming and expensive. 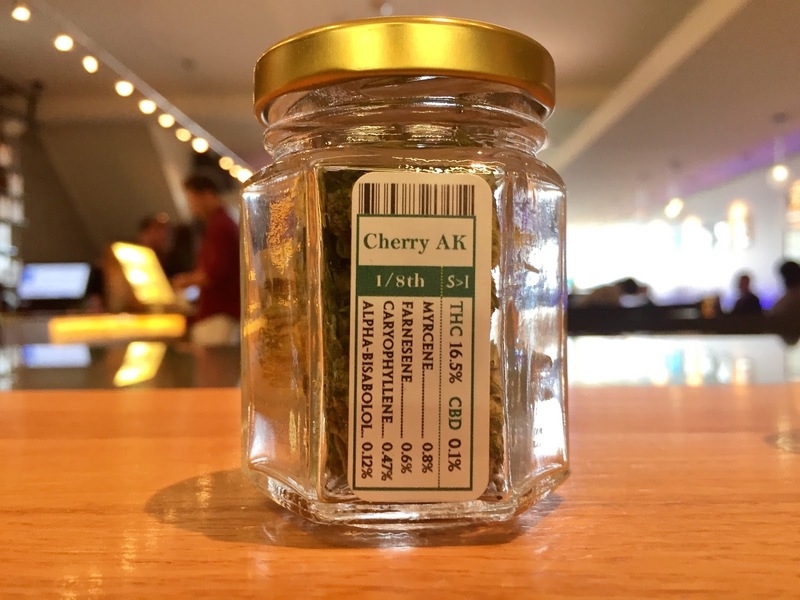 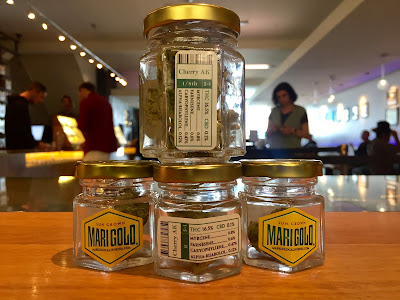 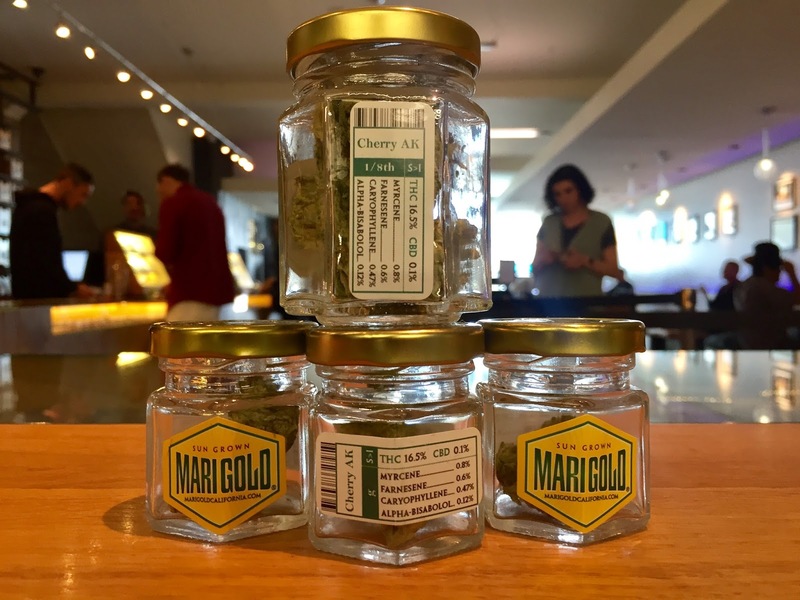 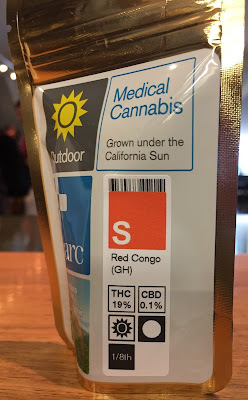 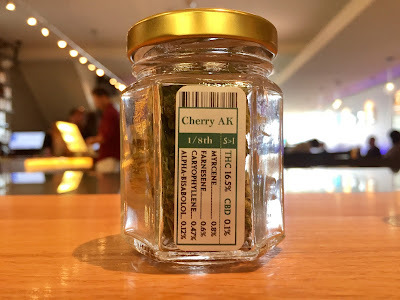 “We had to find a different way to label our products. We could not keep purchasing large quantities of preprinted labels; and still running out of the labels we needed. We had to begin printing labels as needed” said Philip. 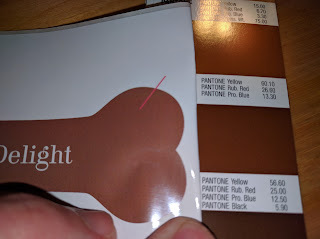 In addition, I learned that Philip’s labels were full bleed; 100% covered with ink. 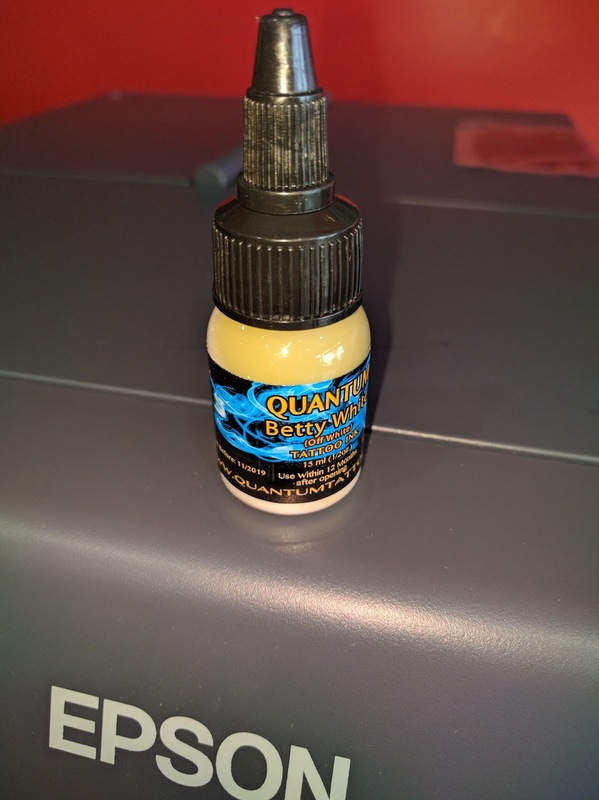 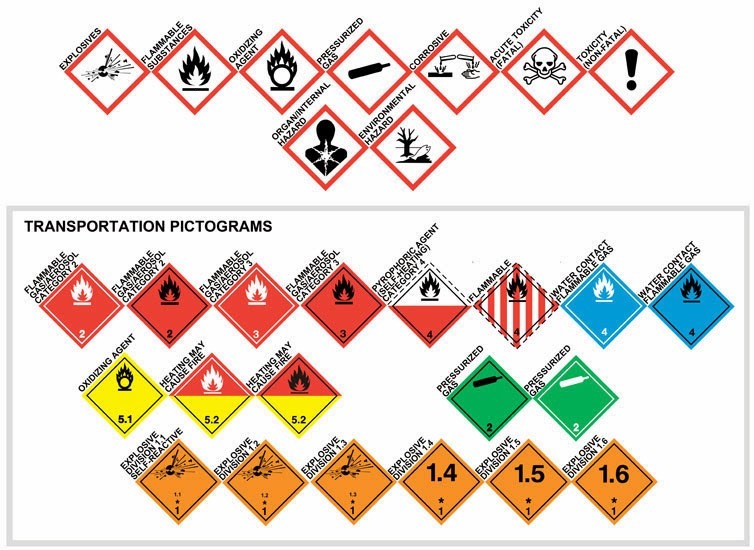 Philip said, “we must keep our labels the same as our products are registered in other countries with these designs; both the size and colors.” Quantum’s requirements for all black, full bleed labels were difficult to meet. 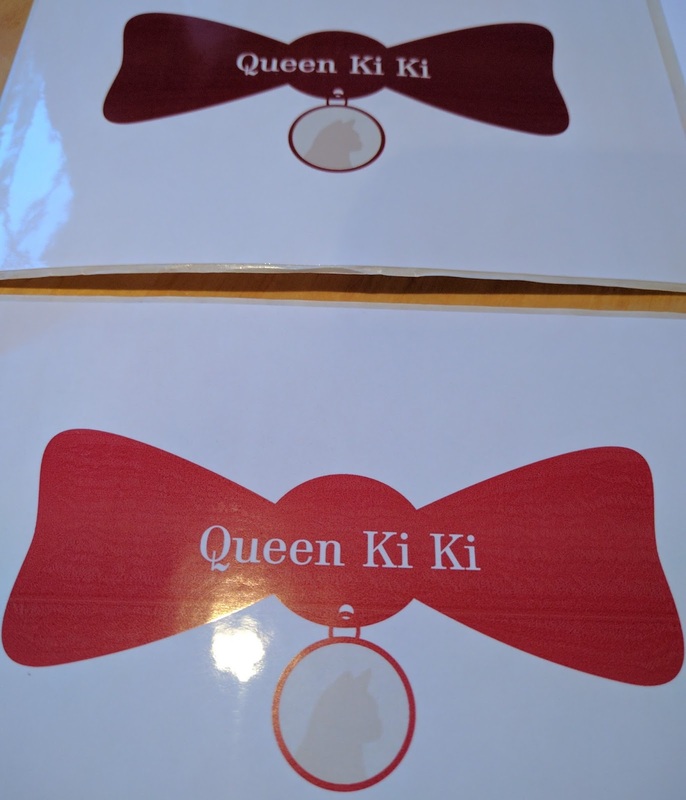 Both Philip and I thought they came out great! 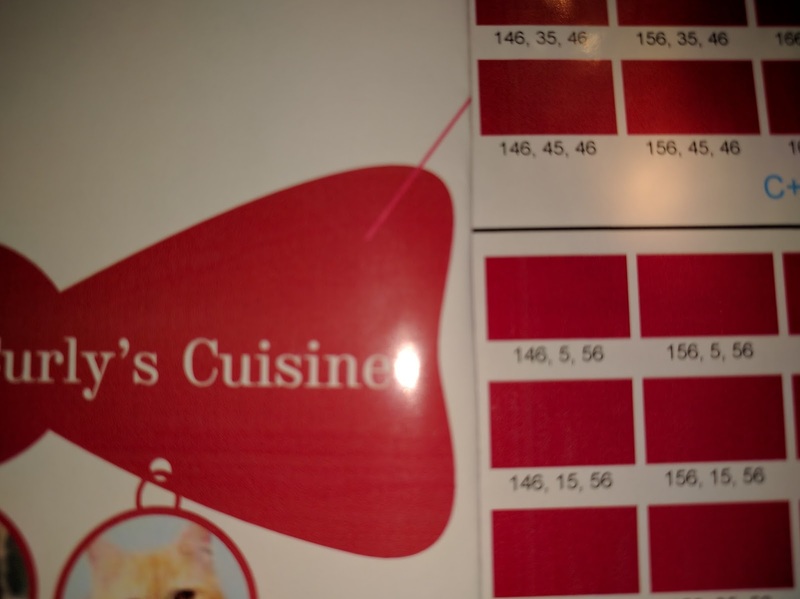 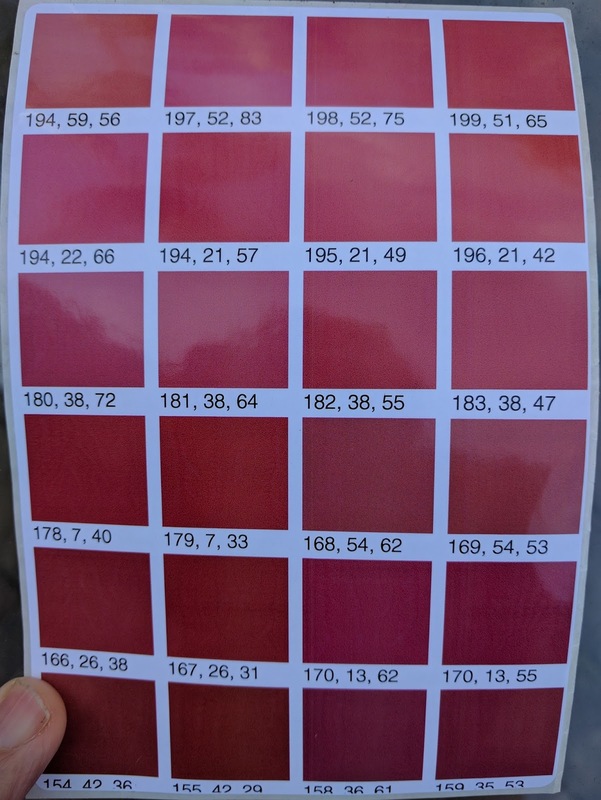 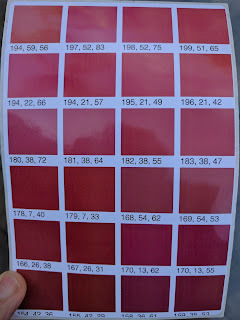 Based on the print samples, Philip purchased a C7500G printer, ink and two sizes of gloss poly labels: 2” and 1” wide. 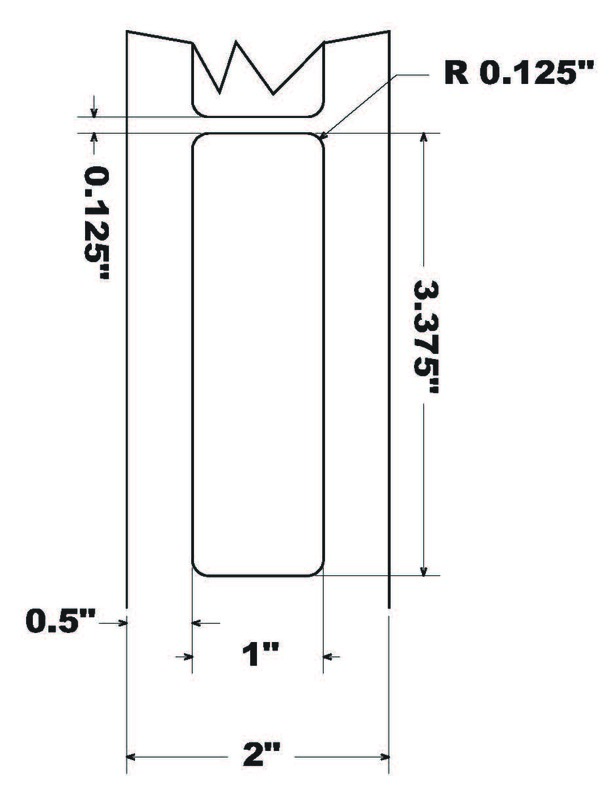 As the C7500 has a 2” minimum print width, we had to increase the size of the label liner for the 1” wide version. 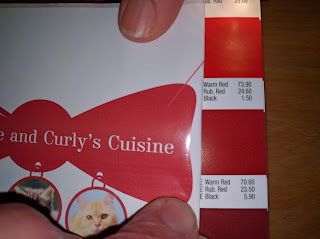 Given the two completely different sizes, we had difficulty adjusting the print start/stop for the two labels. 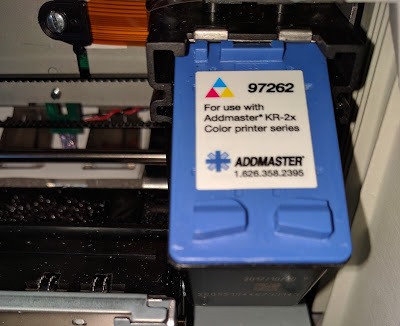 Therefore, I set the 2” size to work for full bleed; and then adjusted the label size to get 100% coverage left to right on the 1” label. 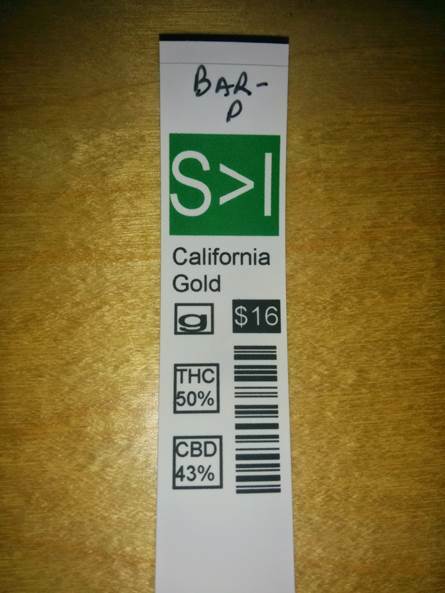 This strategy is producing great looking labels now; even on the 1” wide size. 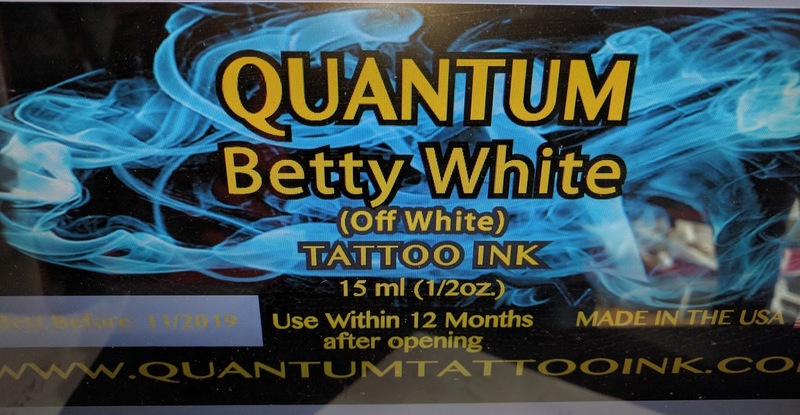 (Don’t you just love the name if this ink!). 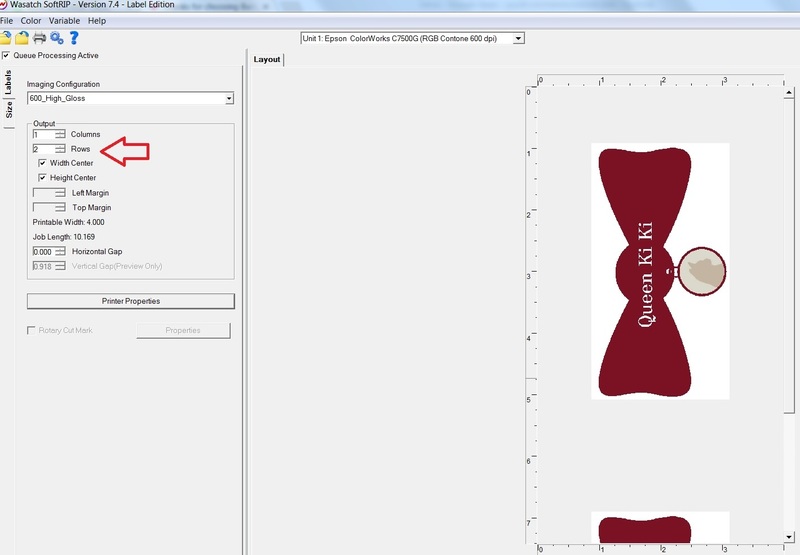 To support the new work process, Quantum’s label designer created form-fillable PDF’s. 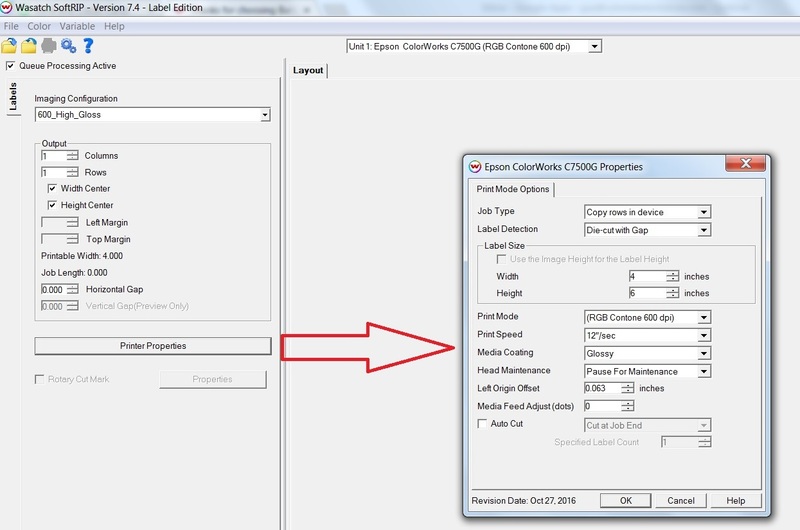 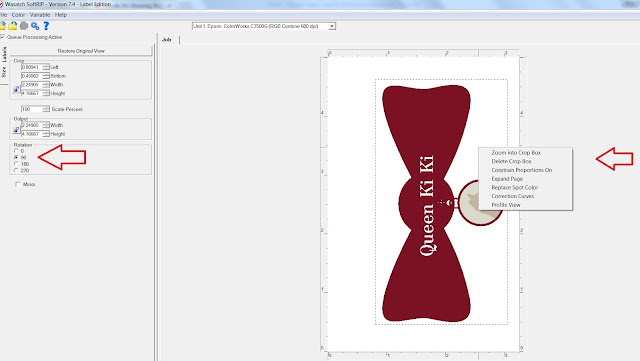 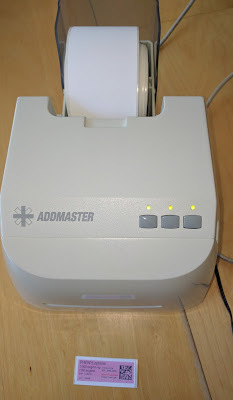 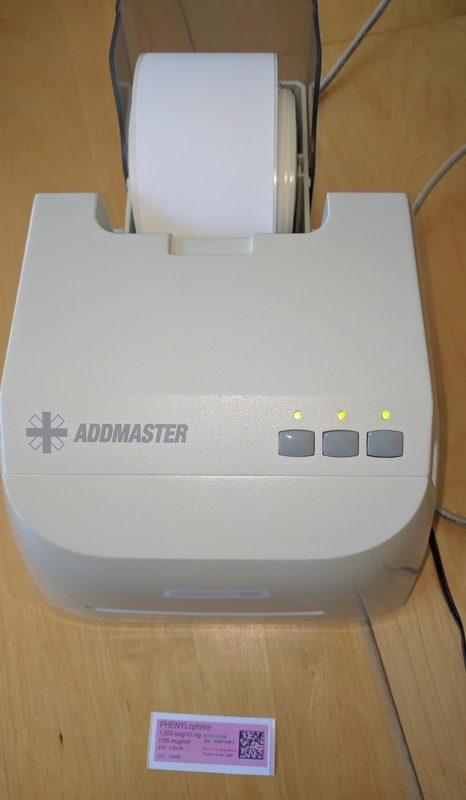 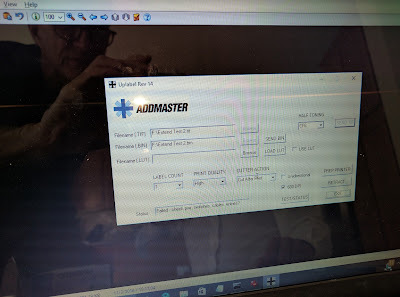 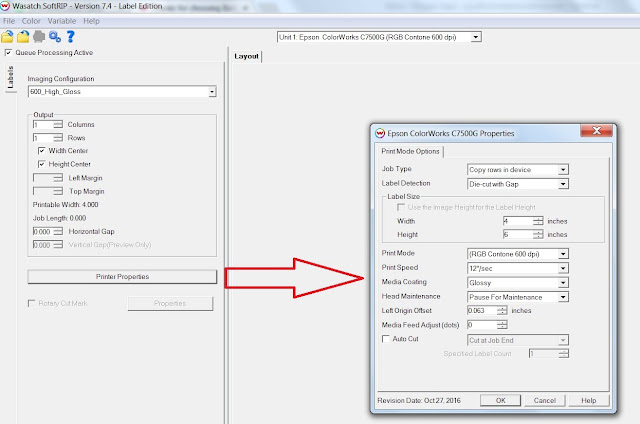 Now, Quantum opens the PDF label file to print, and selects the correct size box; then prints the labels. 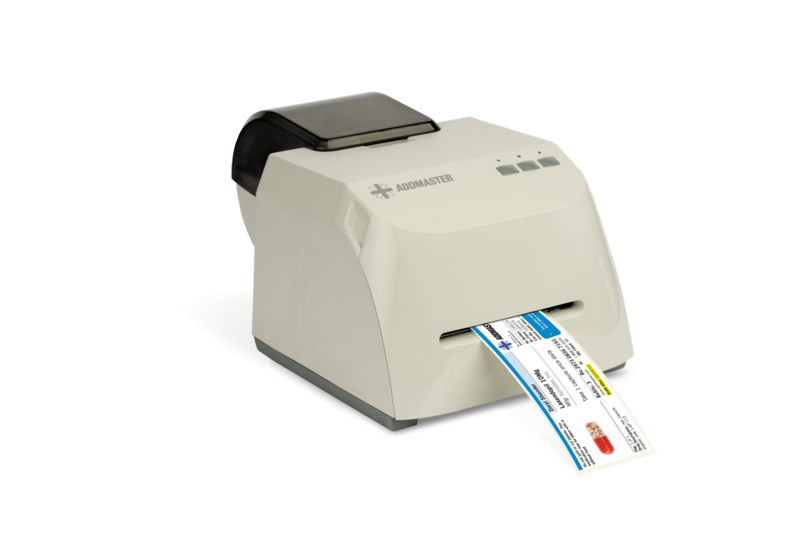 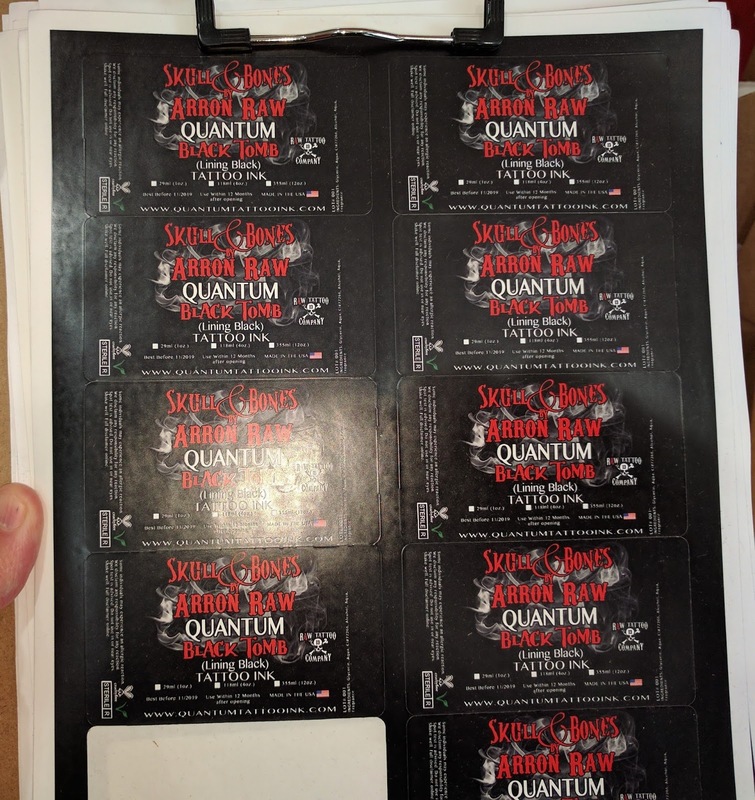 With the new work process, Quantum prints the number of labels required for their production; when needed. 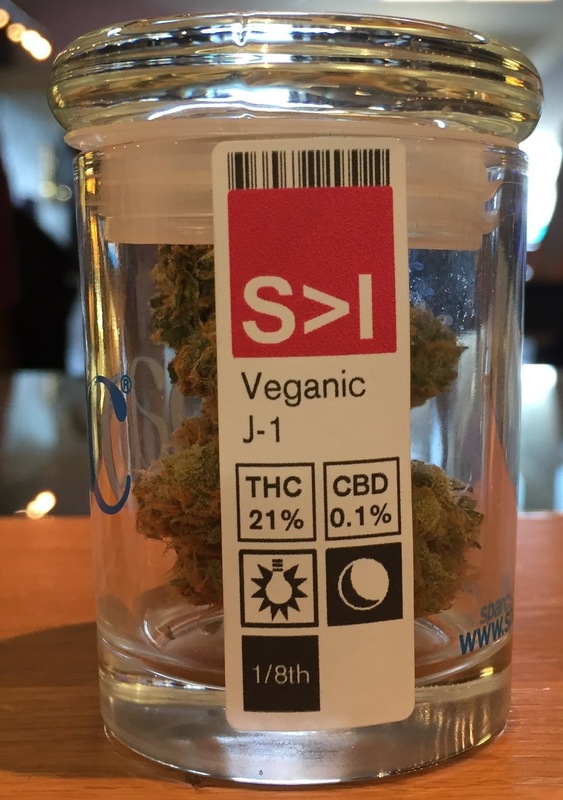 And then applies the labels. Philip says, “The work process is much faster and easier than before. 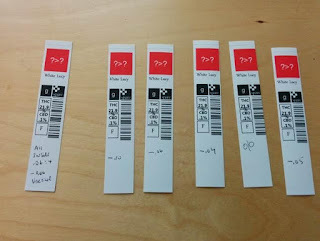 And we like the print quality of the labels”. If you have a lot of products requiring different labels, contact us to help you improve your labeling process. 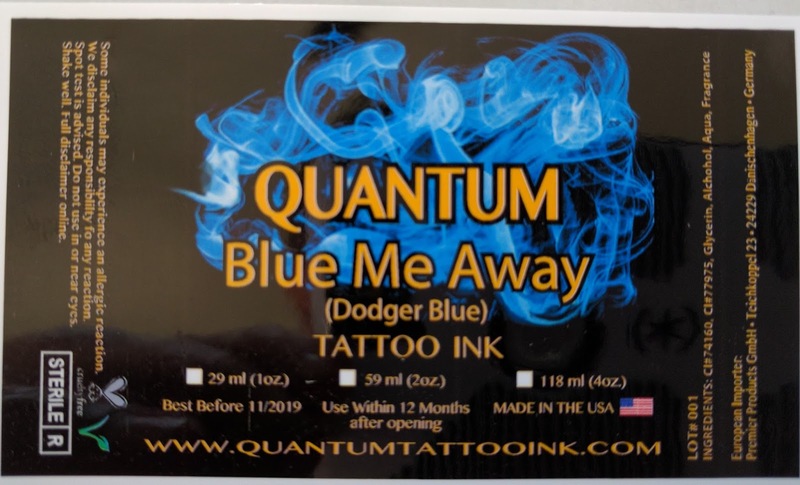 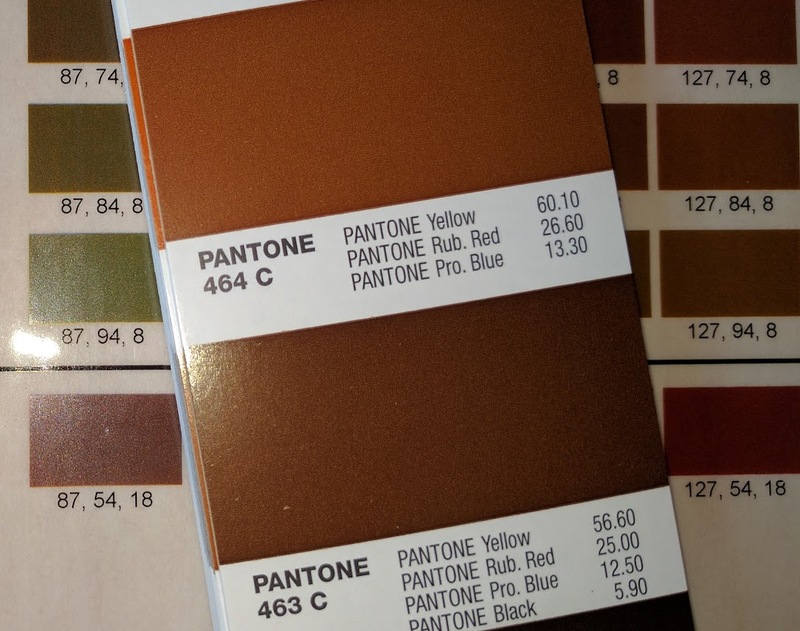 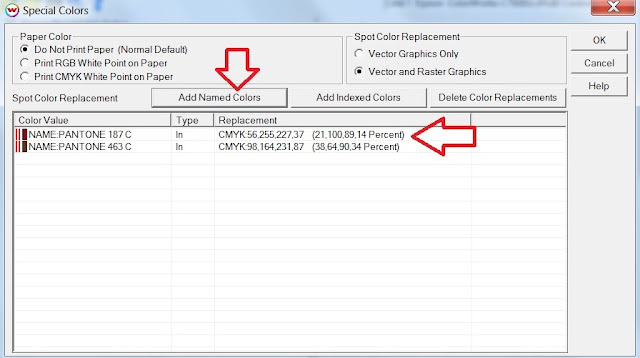 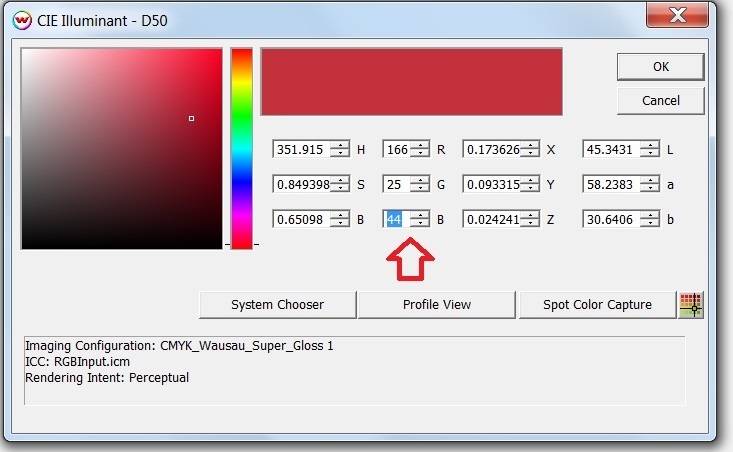 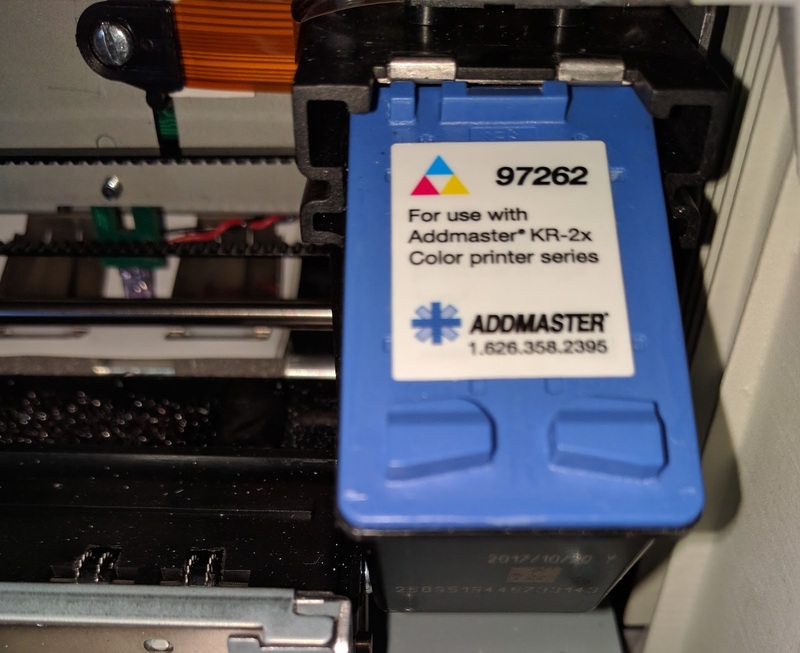 On-Demand Color for your labels; and maybe your tattoo’s.